Located off a small asphalt path which begins at the entrance road to the Massachusetts Department of Public Works on Route 62, just west of its intersection with Route 1. 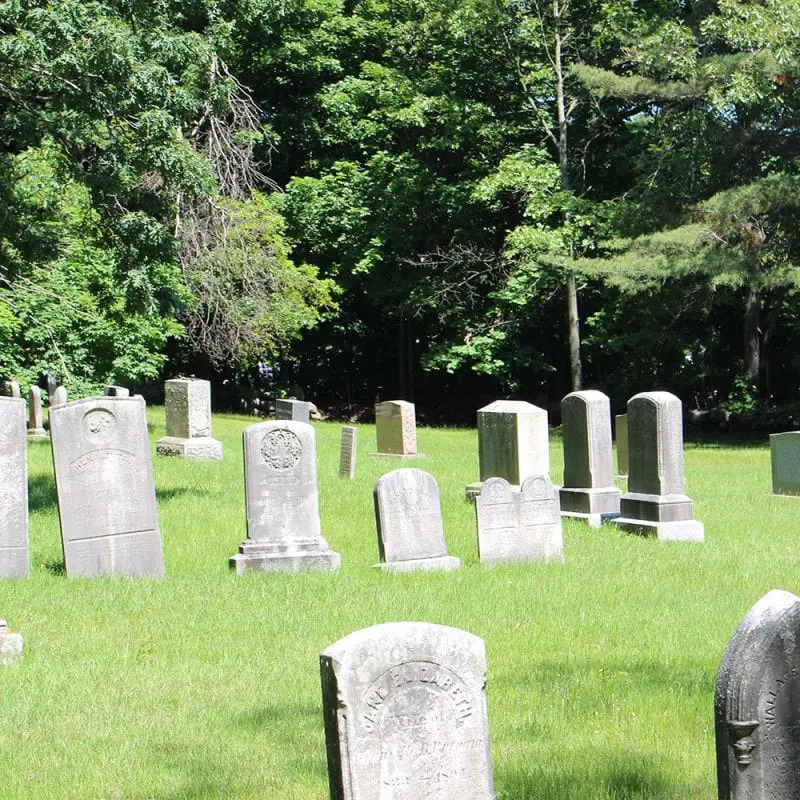 Beneath the earthen mound, located to the left just inside the entrance to the cemetery, are the unmarked graves of Thomas Putnam, his wife, Ann Putnam, Sr., and their daughter Ann. In 1692, the Putnams were one of the most powerful families in Salem Village. They played a major role in the witch hunt. Both twelve year-old Ann and her mother belonged to the accusing circle. Ann, Sr. and Thomas died within two weeks of one another in 1699; young Ann died seventeen years later. In 1706, she publicly asked forgiveness from those she had accused for the calamity she had brought upon them through her accusations in 1692.